Circa: 1972. It was the Wonder Bra. Used to carry smaller to larger loads and remove quickly and easily yet still look real cool. 2008. Out of California, came the muscle enhancing/shaping "Wonder Shirt" for men. Used to carry smaller to larger loads and remove quickly and easily yet still look real cool. 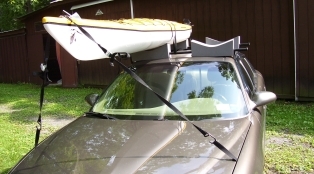 GOT A "NO FIT" CAR or TRUCK? 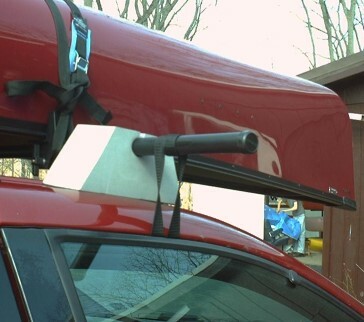 ...the "WONDER BAR" will fit any 2 or 4 door vehicle! 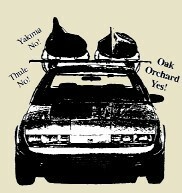 Will work with Oak Orchard Mfg or Yakima Accessories. 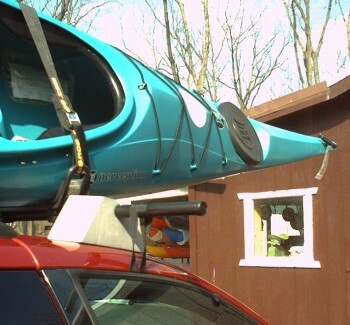 J-Cradle carries kayak on its side. 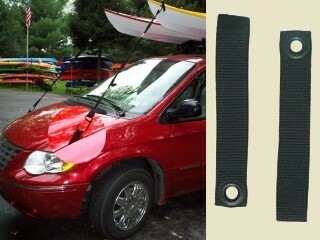 • 2 Yakima Bars - 58" or 66"
Fits any car or truck with doors or windows that open. 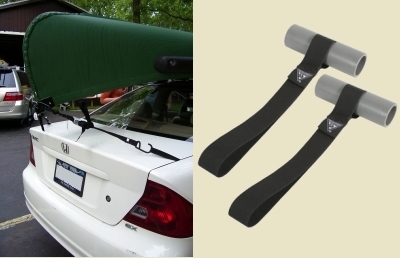 Gunwale Brackets, J-Cradles, foam kayak cradles and other canoe/kayak accessories sold separately. 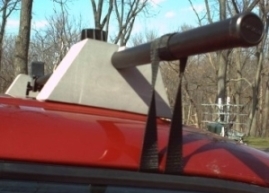 than Other Rack Systems. Arrives Fully Assembled Ready to Use. 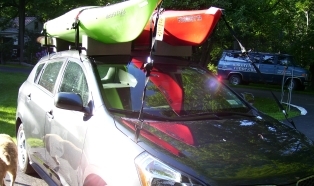 Perhaps You Own and Want To Carry Kayaks on Multiple Vehicles? 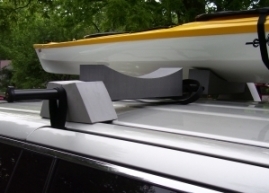 installed on Yakima Bars ready to grip any vehicle roof. 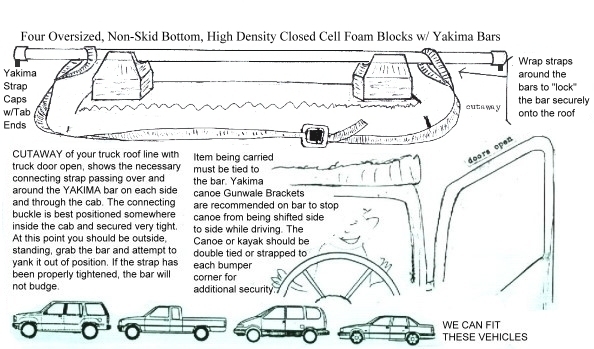 • Four Yakima Bar End Caps. 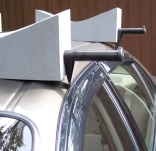 • Most compact and midsized cars require 58" bars. • Fullsized trucks & fullsized vans, 66" bars.